These video tutorials will help you to work with several ANSDIMAT modules. This video illustrates how to use ANSDIMAT to assess optimum pumping rates in dewatering wells around the open pit contour. 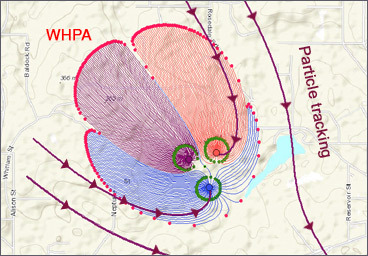 The tutorial explains how to delineate wellhead protection areas (WHPA) using ANSDIMAT. The software calculates time-dependent travel zones, and geographic boundaries to determine the area that could influence groundwater. Your model may include a various number of interacting pumping wells. This video shows how to calculate and display drawdown maps that are resulted from operation of several pumping wells/well systems. The video tutorial illustrates how to design a radial numerical model using ANSDIMAT. 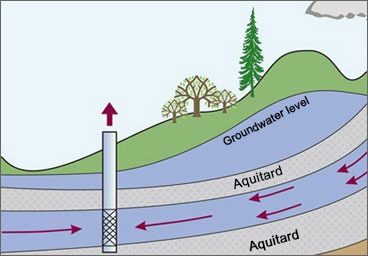 2-D (radial) numerical groundwater flow models are required when hydrodynamic concepts are too complex to be modelled by analytical solutions. This video will guide you through data input and interpretation of a slug test using ANSDIMAT.